Bowlers stand out as NPCA 50 overs competition starts – Kenyatta University TV (KUTV). All Rights Reserved. Bowlers put up match winning performances as the 2016 NPCA 50 Overs league got underway over the weekend in Nairobi. Former national team spinner Hiren Varaiya, Kanbis new signing Kuldip Singh Gohil, youngster Vinit Gohil and national women’S team coach Lameck Onyango were the heroes for their teams with four wickets each as their sides Kanbis, Stray Lions, Nairobi Gymkhana and Swamibapa registered opening wins. At Peponi School, Varaiya was the match winner as his 4 for 25 led Stray Lions in bowling out Kongonis easily for 122 before registering a nine wickets victory. Kanbis too had a bowler contribute to their huge win over Cutchi Leva with Gohil picking 4 for 37 as the visitors were bowled out for 180 in pursuit of 347. At Jafferys Onyango was the man of the match with 4 for 12 from 6 overs to lead Swamibapa to victory over Ruaraka. The last four for performance was witnessed at Simba Union where Vinit Shikotra’s 4 for 36 helped Nairobi Gymkhana successfully defend 225 against home side Sikh Union. Batting first, Varaiya span through Kongonis batting order before they ended on 122 runs with 15 overs to go. Kranthi Kumar saw his new side to an easy victory with a well-crafted unbeaten 64 runs. Kanbis batsmen once again put a spirited effort in the middle with three batsmen scoring half centuries to lead their side to the huge total of 347 for 5. Nelson Odhiambo (77), Ramesh Mepani (70) and Vinod Rabadia (53) all scored half centuries as Kanbis ran riot on Cutchi Leva’s bowling before Gohil’s spin aided the home side bowl out their visitors for 180 with four wickets. 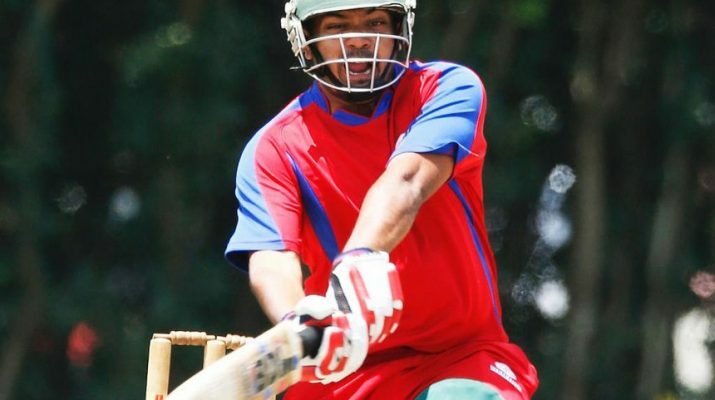 At Simba Union, Rushab Patel missed a century by six runs as his Nairobi Gymkhana beat host Sikh Union by 62 runs. Rushab’s run a ball 94 led the visitors to 225 all out before Vinit Shikotra’s four wickets and Lucas Oluoch splendid opening spell helped them bowl out Sikh Union for 163 in 37.3 overs. In the fourth match of the day, Onyango began his new captaincy role at Swamibapa on a positive note steering his team to a comfortable nine wickets win over Ruaraka. The former national team opening bowler bagged four wickets in his six overs to help his side bowl out Ruaraka for 89 in 26.4 overs before winning by nine wickets.